Big Shout Out to fellow Realty Group of Jackson Hole teammate Jeff Ward for well-deserved recognition! Realtor and Rotarian selected for community involvement, professionalism. The Teton Board of Realtors® honored Jeff Ward as their “Realtor® of the Year” awardee for 2018 at their annual Membership Luncheon on August 9th at Spring Creek Ranch. In presenting the award to Ward, nominating Realtor® Mike Jorgenson noted that, “Jeff epitomizes and takes pride in all the good things our industry provides to the public and is an excellent ambassador for our real estate community.” Ward’s career in Jackson Hole spans more than two decades, with extensive experience in all aspects of residential and commercial real estate. Ward grew up in Southern California, and graduated from the Marshall School of Business at the University of Southern California, with a degree in sales and marketing. 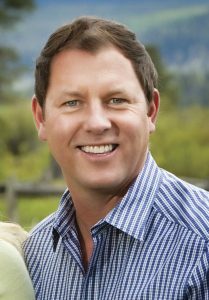 Following a move to Jackson Hole in 1995, Ward launched a successful career in hotel management—a career that helped to facilitate his transition into real estate sales in 2005 as a part of Teton Village Realty, which would ultimately be purchased by Jackson Hole Sotheby’s International Realty in 2009. His expertise in hotel management has made him particularly well suited to the representation of buyers and sellers in condo-hotel segments of Teton Village. Ward sells real estate with Jackson Hole Sotheby’s International Realty alongside his wife Kelli, and partners Rob DesLauriers and Jake Kilgrow as the “Realty Group of Jackson Hole.” The team garnered accolades in July as they ranked among “America’s Best Real Estate Agents,” positioned as the top sales team by volume in Wyoming by independent industry authority REALTrends. Professionally, Ward has been an engaged member within the Teton Board of Realtors®, having previously served as the chair of the Ethics Committee and the current chair of the Grievance Committee. “TBOR looks for a Realtor® that is dedicated, ethical and professional in our industry and is actively working to make our community a better place for everyone…” according to the organization. Jeff’s philanthropic background and fundraising within Jackson Hole extends beyond Rotary alone. He was instrumental in launching “Jackson’s Got Talent” for Teton Literacy Center, and the event will be celebrating its fifth year in November. He remains fundamentally “invested in Jackson Hole and doing what he can to make it a better place for everyone,” said Jorgenson. 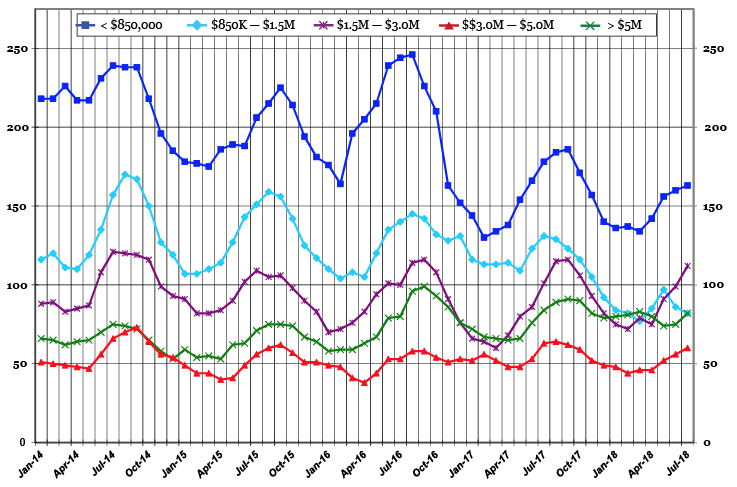 The above data has been compiled from Teton County Board of Realtors Multiple Listing Service data through July 31, 2018 and supplemented with additional brokerage data. Although the foregoing data has been compiled from sources deemed to be reliable, JHSIR does not guarantee its authenticity. It is intended for informational purposes only, is subject to prior sale, omission, error, revision and cancellation without notice, and should be independently verified with the source of such information.